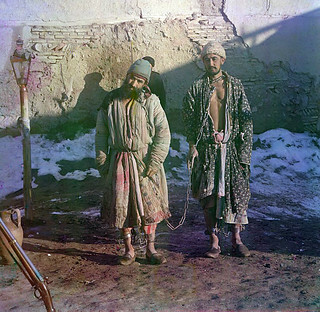 Composite color photograph (from glass plate images exposed with different filters) from the Library of Congress taken by Sergei Mikhailovich Prokudin-Gorskii c1910. This image is of two prisoners. One hopes there is someone off camera to stop them from trying to grab the rifle in the picture.